Cyrus Leddy is a comedy writer, performer, and sound designer from Providence RI, currently living in Chicago. 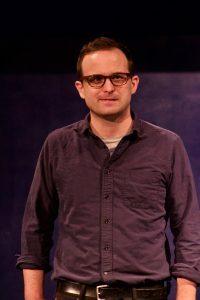 He has written and performed shows at The Second City, iO Theater, The Annoyance Theatre, The Revival, Stage 773, and The Storefront. 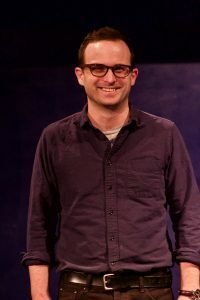 His sketch group, Funeral Twins has performed all over the city, including Chicago Sketchfest and the Milwaukee Comedy Festival. Cyrus is represented by Karen Stavins for voice acting.